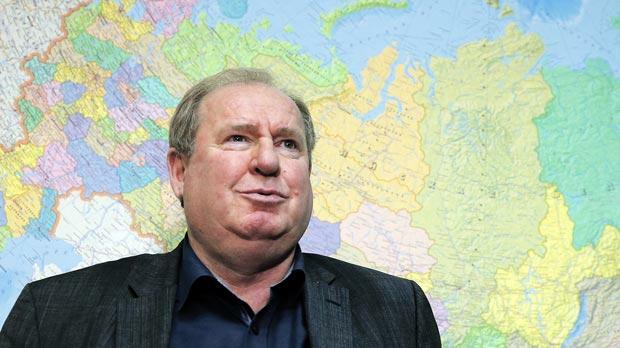 Vadim Zelichenok, head of the Russian Athletics Federation. The head of Russia’s athletics federation said yesterday he had sent the sport’s governing body a report responding to doping allegations made by the world anti-doping agency. A World Anti-Doping Agency (WADA) commission on Monday alleged widespread graft and collusion by Russian officials, including state security services, to cover up drug test results, destroy samples and intimidate laboratory staff. Athletics officials gave Russia until the end of this week to respond. Earlier in the week, the Kremlin’s spokesman said the allegations were groundless and Russia’s sports ministry said its anti-doping policy had strictly complied with WADA norms. However, Vadim Zelichenok, head of the Russian Athletics Federation (VFLA), said his body agreed with some of the points made by WADA. “We have just sent our report to IAAF,” he told TASS news agency. He declined to give any details but told TASS in an interview: “In our report for the IAAF, we agreed with some positions taken by WADA (the World Anti-Doping Agency). WADA said that at one point the accredited laboratory in Moscow destroyed 1,417 samples shortly before an inspection. The laboratory stopped operating on Tuesday after WADA suspended its accreditation. WADA recommended that Russian athletes be suspended from international events including the 2016 Olympics in Brazil and also identified “systematic failures” by the sports world governing body, the International Association of Athletics Federations (IAAF). A final decision on this is in the hands of the IAAF. Zelichenok said he disagreed with some of WADA’s allegations. “Some of the allegations are just not fair. We gave a detailed reply to every point they made: or we agreed and pledged to change the situation, or we disagreed,” he said. The International Olympic Committee (IOC) responded to the WADA report with a call for disciplinary procedures against athletes who had violated doping rules. The IOC said competitors, coaches or officials mentioned in the WADA report who were proven to have violated doping regulations should be punished and stripped of any medals.